Hello! This gem has it all. The views ✅outdoor living space ✅ and location✅. Proud to present this stunning sub-penthouse residence at Maynards Block in False Creek. 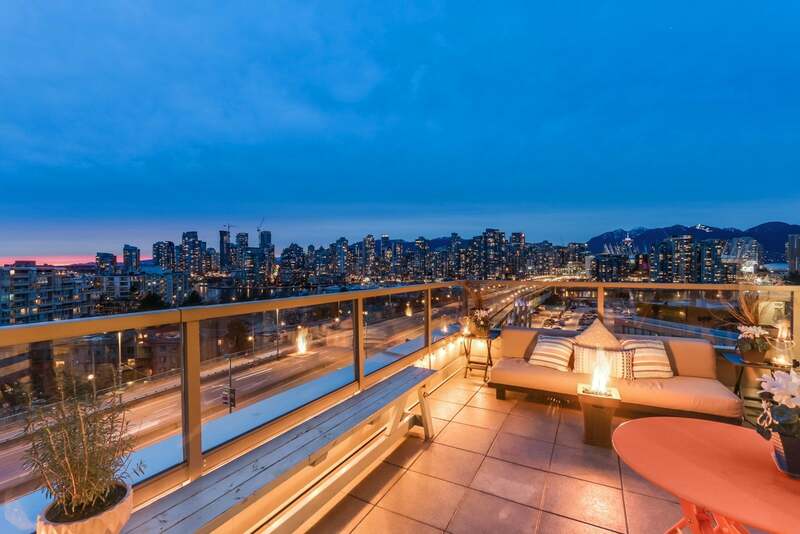 Unobstructed views of False Creek, the North Shore Mountains, and city lights from every room and especially from your private terrace with a fire pit!